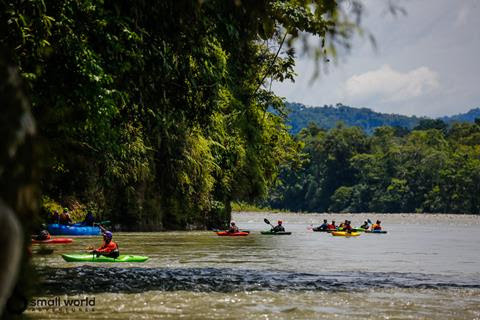 Small World Adventures (SWA), the longest standing whitewater outfitter in Ecuador, is now under new management. 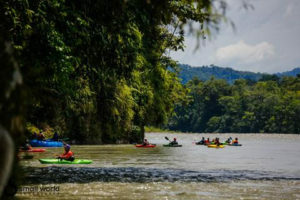 Previous owners, guidebook authors and Ecuador whitewater veterans Don Beveridge and Darcy Gaechter, have bought back their company three years after leaving. Joining them as co-owner is former SWA guide and friend Liam Kirkham. 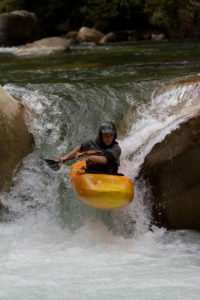 Don first kayaked in Ecuador in 1995 and has guided in Ecuador for 18 years. Darcy first went to Ecuador in 2000 and spent the next 13 years guiding there every winter. 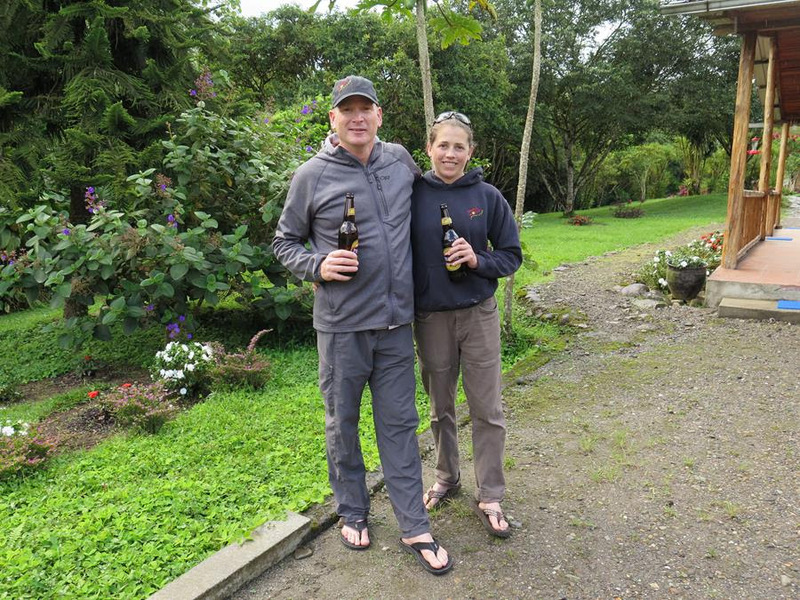 Together Don and Darcy have kayaked and guided in a vast selection of destinations including Kenya, USA, Nepal, Uganda and Bhutan. In 2013 they also paddled the entire Amazon from source to sea, making Darcy the first woman to ever complete it. Liam, from the UK, has 15 years paddling experience in 13 countries; he previously guided for SWA in both Ecuador and the Grand Canyon, as well as guided with Don and Darcy in Bhutan and conducted his own commercial paddling trips in Nepal. Our schedule for the 2016-2017 season is now online and we would love to see our old friends as well as new customers at SWA for our first year back. Book your week in whitewater paradise today. 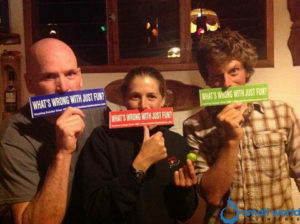 Check out our schedule to find out more about our week long adventures and a course to suit you. 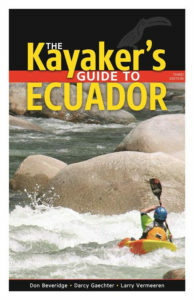 Don and Darcy are two of the authors of The Kayaker’s Guide to Ecuador, the only comprehensive whitewater guide available. 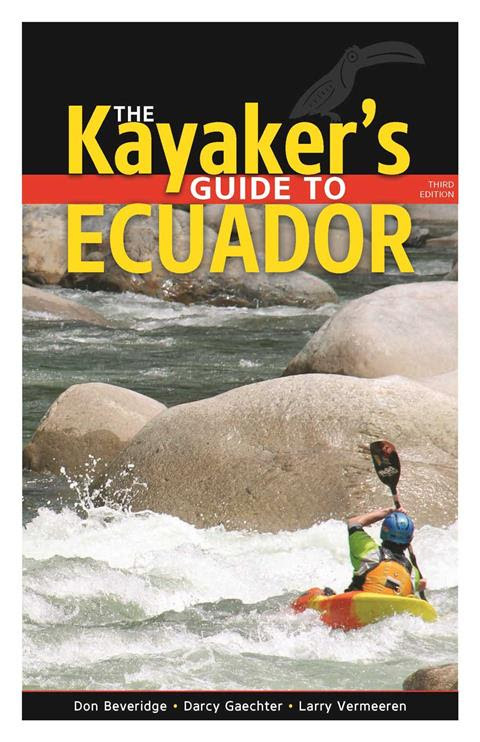 Buy your copy now and start getting fired up for you Ecuador paddling vacation! Purchase directly from Small World Adventures. Don, Darcy and Liam are super fired up about returning to Small World Adventures. We hope you’ll come paddle with us and help us celebrate this new chapter in life! One Response to Big News at Small World: Don and Darcy are Back! CONGRATULATIONS!! BEST NEWS EVER…EVER EVER! !